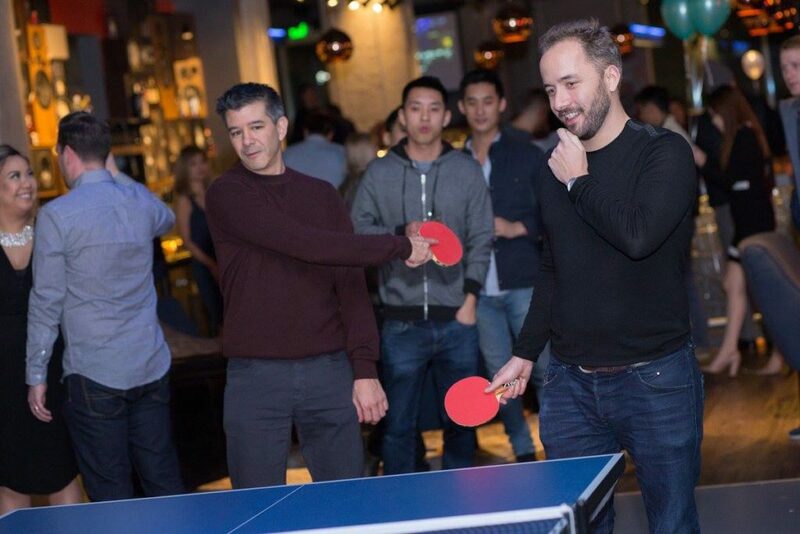 Silicon Valley's tech giant CEOs, Facebook's Mark Zuckerberg and Uber's Travis Kalanick chose to celebrate friend and CEO of Dropbox, Drew Houston's birthday over a fun night at Susan Saradon owned ping pong social club, SPiN, San Francisco on 3rd March 2017. Drew Houston, CEO of Dropbox, was celebrating his 34th birthday and to everyone’s delight at SPiN, they happily crashed the party that evening. 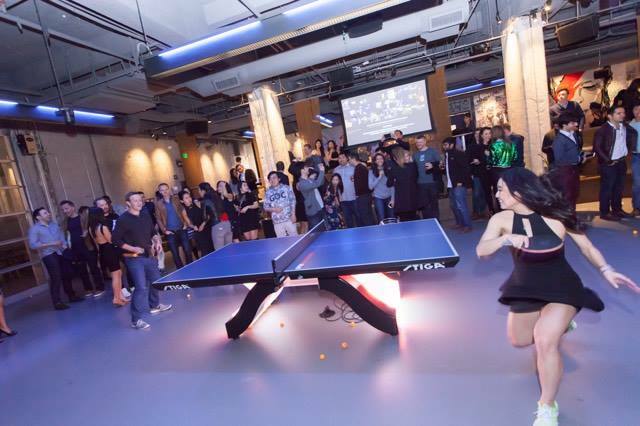 Zuckerberg challenged US Olympian Lily Zhang over a game, and she also got a chance to coach him. He is a fast learner, suggests Lily, “I tried to teach him how to smash, which he got after a short amount of time!” she said. “I got to play against him for about 15 minutes. He says he doesn’t normally get to play but he’s actually pretty good and definitely has a lot of potential,” says Lily recalling the wonderful night. 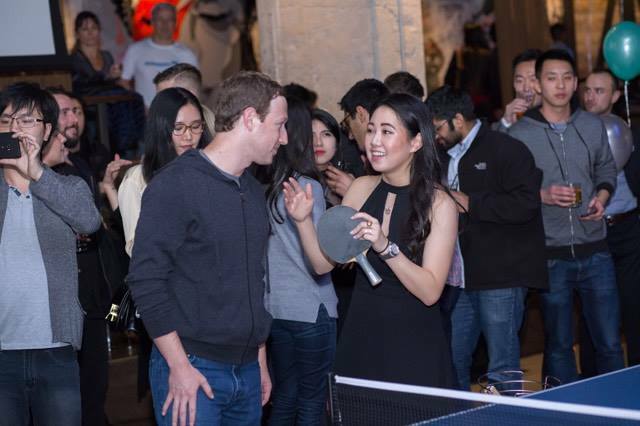 As Zuckerberg, Houston and Kalanick enjoyed their time playing table tennis, Lily was thrilled to be present there and interacting with them. “My favorite moment with Mark Zuckerberg was probably just seeing how much of a nice and normal person he is. He’s not flashy or loud, and doesn’t like to draw much attention to himself. In fact, he spent most of the time during our conversations asking about my experiences with table tennis and seemed genuinely interested,” she expressed. The ITTF is the only International Federation with the highest number of member national federations at 222, and thus there is no doubt about the global appeal of the sport. 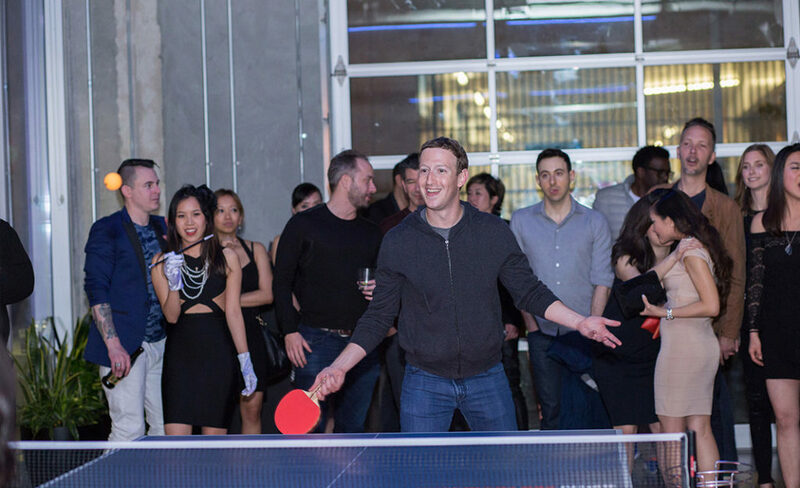 With such celebrities like Zuckerberg himself making news over playing table tennis, it is a big boost for the sport not only in the US but all over the world.